The fast-changing and unpredictable globalized world creates challenges and impacts on the sustainable development of society. Education plays a critical role to tackle these challenges and impacts by nurturing human capital for serving the needs of society. To ensure the function of education for social development, academics, researchers, policy makers, school leaders and teachers are expected to innovate theories and practices of school management, curriculum and pedagogies, counselling and guidance as well as all other important aspects of school organizations with a data-driven and evidence-based approach of empirical research. This special issue welcomes high-quality empirical manuscripts to present such innovative, comprehensive and sustainable education theories and practices. The Special Issue of the ‘International Journal of Information and Education Technology’, (ISSN: 2010-3689, DOI: 10.18178/IJIET), is going to cover selected high-quality (peer reviewed) papers from the 2019 The 9th International Conference on Education, Research and Innovation (ICERI 2019), which will be held in Tsuru University, Japan during October 25-27. The ICERI 2019 is going to provide a forum for presenting and publishing high quality research articles with recent developments in innovative education. The key topics include: Educational Leadership, School Management, Organizational Development, Knowledge Management, Organizational Learning, Curriculum Development, Pedagogical Innovations, Applications of Information Technology in Education, Technologies in Education, Creativity Enhancement and Assessment, Rasch Model for Assessment, Teacher Professional Development, Creativity in Teacher Education, Educational Intervention, Inquiry-based Learning, Qualitative Research Methodologies, Narrative Research, Structural Equation Modeling, Hierarchical Linear Modeling and Research Methodologies for Evaluation etc.. 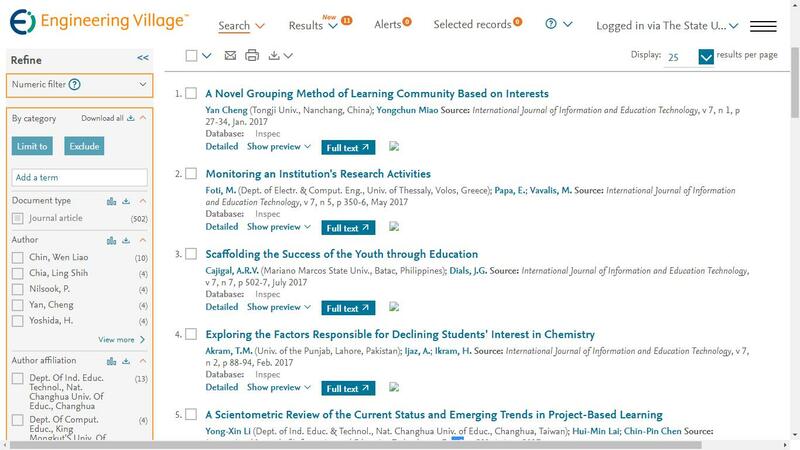 Please prepare your paper according to the journal template, which is available at http://www.ijiet.org/IJIET_template.doc. Please submit your paper by http://confsys.iconf.org/submission/iceri2019 or by email via iceri@iedrc.org and for more details please visit http://www.iceri.org/author.html.